• Strand 1: Demonstrates competency in motor skills and movement patterns. • Strand 2: Demonstrates understanding of movement concepts, principles, strategies, and tactics as they apply to the learning and performance of physical activities. • Strand 3: Participates regularly in physical activity in both during and beyond the structured physical education class. • Strand 4: Achieves and maintains a health-enhancing level of physical fitness. • Strand 5: Exhibits responsible personal and social behavior that respects self and others in physical activity settings. • Strand 6: Values physical activity for health, enjoyment, challenge, self-expression and/or social interaction. Every morning, after her class of first-grade students finishes a morning lesson and is ready to move on to writing, Dawn Robertson gets them up and makes them move. These students at Arizona State University Preparatory Academy giggle and mirror the movements of animated figures toward a finish line, much as they would playing Wii. After three minutes, the students catch their breath and get back to learning. Robertson said this structured physical activity allows students to release jitters and refocus. “They’re able to sit on the rug for a good five to 10 minutes and listen to instruction,” she said. 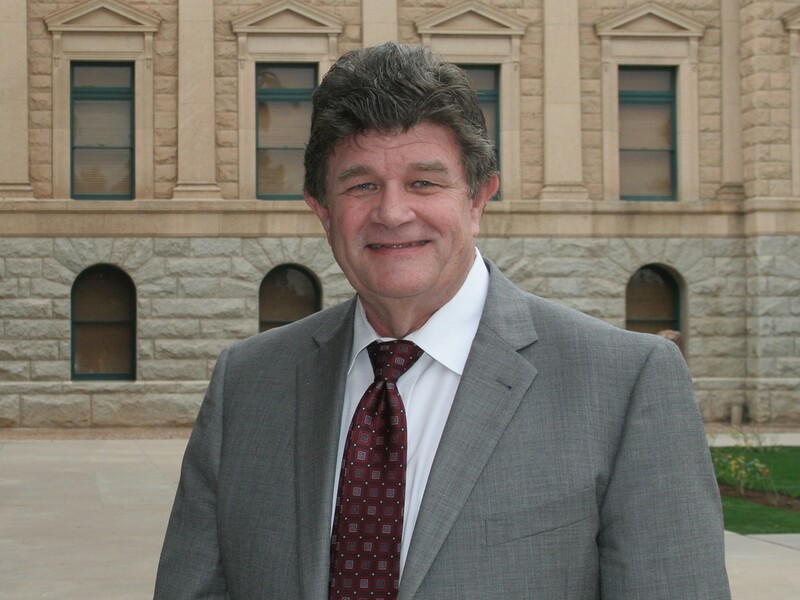 A state lawmaker wants more Arizona classrooms to offer daily organized physical activity, like Robertson’s breaks, saying it would help students improve their academic performance. Sen. David Bradley, D-Tucson, authored SB 1126, which applies to students from kindergarten through fifth grade in public and charter schools. “We put so much pressure on teachers to get kids to pass high-stakes testing that sometimes the physical education piece gets pushed aside,” Bradley said. The bill received an endorsement Jan. 29 from the Senate Education Committee, but an amendment that changed its key provision from a mandate to an option. Bradley said he worked closely on the bill with Steve Gall, a volunteer who teaches elementary school physical education in Tucson. Current Arizona Department of Education standards call for students from kindergarten through fifth grade to accumulate at least 60 minutes per day of physical activity on all or most days of the week. Recess doesn’t count because it is unstructured. But Gall told the committee that many schools aren’t following the standard. To help develop the legislation, he said he visited schools in Sedona, Nogales, the Navajo Nation and the Deer Valley Unified School District that have daily organized physical activity. These brain breaks, which last for about three to four minutes depending on the teacher, can improve a child’s cognitive behavior, motor skills and educational environment, he said. Gall said the physical activity he and Bradley are calling for can be free because classroom teachers, rather than physical education teachers, can supervise it. “I’m not going to go around with a stopwatch, but we just want them to move,” he said. Janice Palmer, director of government relations and public affairs for the Arizona School Boards Association, said her organization was neutral on the bill because it carries a potential mandate. “There still needs to be some structure that the district is going to have to provide to so that staff knows what to accomplish,” she said in the hearing. Leslie Hicks, Chandler Unified School District curriculum specialist, supports brain breaks but said they shouldn’t be a substitute for physical education classes. Kids don’t have complete control over their academic environment, but movement gives children some control, she said. Hicks, who provides brain break instruction to educators, said she sees good intentions in the bill but is worried that it could lead to unintended cuts. At the hearing, Carolyn Bernhardt, a first-grade teacher at Harold Steele Elementary School teacher in Tucson, said she plays a bean bag game with her students as a brain break. She said if her kids don’t participate in brain breaks, then they can’t perform basic motor skills like skipping or hold a pencil correctly. Bernhardt also said she sees improved behavior, such as good sportsmanship. The bill also needs approval from the Senate Appropriations Committee, where it had yet to be scheduled for a hearing as of Thursday, Feb. 5. Bradley said he’d be surprised to encounter major opposition. At the very least, he said, the bill will bring attention to the need for structured physical activity in schools. Students in Dawn Robertson's first-grade class at Arizona State University Preparatory Academy take morning brain breaks each day. See it in action and hear why Robertsons says it helps. Tucson Senator David Bradley is fighting for structured physical activity in public and charter schools.